While I’ve written previously about the Amalfi coast (what to do in Positano, how to get to the Amalfi Coast, where to stay), I only touched briefly on the beautiful town of Ravello. Because it doesn’t have access to the beach, many people skip over Ravello and head only to Positano, Amalfi and Sorrento. I think that for this very reason (a slightly smaller number of tourists) you should check out Ravello on your next trip to the Amalfi Coast. Here are some of my reasons why to visit Ravello when you're going to the Amalfi Coast. The trip up the mountain from Amalfi to Ravello isn’t an easy one. When I went with my friend, we tried to wait for one of the regional buses but it never came and we ended up hailing a private tour bus as it drove past us, which I wouldn’t recommend. But if you take your time and stop for the view along the way, it can actually be quite enjoyable. Our B&B owner also told us that there’s a nice walk up a small path (vs. the main road) that takes you through private land and vineyards. I’ll definitely take this way up next time, but be prepared for somewhat of a hike as those stairs are killers. Otherwise, you can always call a taxi. While all of the Amalfi Coast has gorgeous views, Ravello is another story. 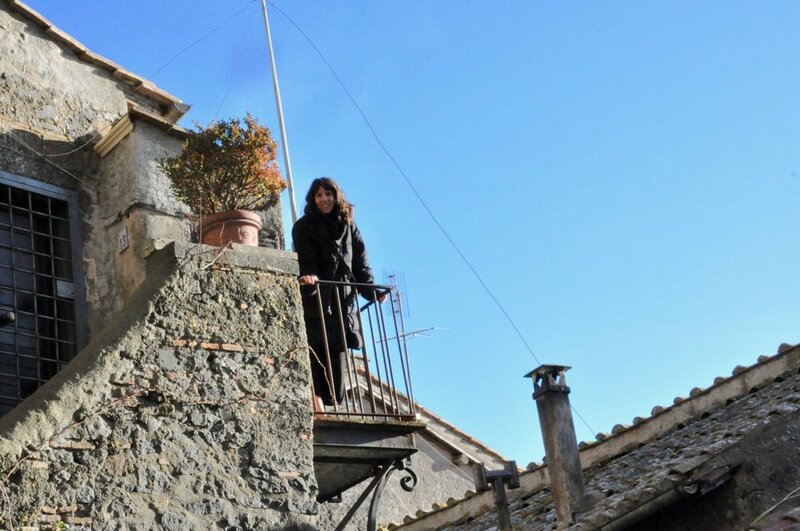 It sits high up on a mountain and overlooks the Tyrrhenian Sea and the other towns along the coast. I didn’t get a good look at it during the day but at night it was amazing. All of the lights are visible along the entire coast and you can see absolutely everything. Go for the quick climb and stunning photos. Ravello, and the Amalfi Coast in general, is well known for their artisan products. This small town was full of ceramic shops, art galleries and stores with beautiful handmade products. It’s so nice to walk around and shop before lunch or dinner and you can find a great souvenier for your trip. Ravello has some fantastic restaurants and cafes. Walking around, we saw so many different locations and almost all of them had outdoor seating. I had a real treat yo’ self moment with my girlfriend and had a fabulous dinner on the very top balcony of Hotel Palumbo. It really stood out in terms of location, atmosphere and quality of food, but there are so many options that it’s hard to choose a bad spot to eat. If you’re based in Rome for the duration of your Italian trip, there are so many possibilities for outings in the surrounding Lazio region. The Roman Empire blessed Italy with many things, not the least of which being small hillside towns with remarkable backgrounds, historical sites, and unique food cultures. Frascati is a town 30 minutes by car from Rome and a short train ride away from Termini or Tiburtina stations. It's known by locals as being the best place to visit for cheap, delicous food and to try the many varieties of local wine that grow specifically in Castelli Romani region. Frascati white wine is well-known and is locally produced by many vineyards nearby. A perfect trip to Frascati includes a full, Italian-style lunch with several courses at a “fraschetta”, wine tasting, a visit to one of its famous historical villas, and a walk through the center of the town to enjoy the small streets, food stands, and beautiful cathedral. Last weekend we took one day out of the long weekend to spend here, starting with a memorable lunch at Osteria Fraschetta Trinca. This restaurant has a history of being one the oldest fraschette and still embodies the regional tradition of celebrating each season’s wine harvest with delicious local food. Osteria Fraschetta Trinca is known for its selection of smoked meats, cheeses, and wines, as well as offering first, second, and dessert courses. It’s important to make a plan of attack before entering the restaurant, or you’ll end up with a HUGE tagliere selection of meat and cheese, with no room for pasta afterwards. Their special “Gran Misto Trinca” offers 6 kinds of meat, including a fabulous porchetta, four different cheeses, grilled and pickled Mediterranean veggies and bread in abundance. The highlights for us were definitely the porchetta, salame, pecorino and a to-die-for ricotta drizzled with honey and walnuts. Keep in mind, if you know you want to try pasta I recommend asking for the Gran Misto for ONE person, or cutting your number in half. After this extravagant lunch, we managed to drag oursleves into the city center for a walk and spent some time lounging on the sunny cathedral steps (La Cattedrale di Frascati). We even found a way to fit in a lemon gelato for the road. The next time I’ll go for a full day and visit some of the amazing villas around and do a wine tasting that the Castelli Romani regions is known for. And I probably won't say no to another lunch at Fraschetta Trinca either. Tuscany, with its rolling hills, Chianti vineyards, amazing views, and cameos in many Italian films, is one of the most popular tourist destinations in Italy. It deserves that place on your itineraries and more, but I'm offering an alternative to this famous region, in the form of Umbria. Three words that describe this incredible area of Italy are natural, authentic, and traditional. Located between Tuscany and Lazio (Rome's region), it gives the best of both worlds. You can find incredible mountainside towns, working farm-to-table restaurants, the freshest produce, wine and olive oil, and some really great people to boot. If you're someone who enjoys traditional Italian food, the outdoors, wine-making, or side-street wandering, keep reading for a quick weekend guide to visiting Umbria. Orvieto is a gorgeous city with lots of history and natural scenery to enjoy. Its location in south of Umbria gives it a lot of importance in terms of its wine cultivation, and its slow food culture. There are many restaurants and shops to enjoy throughout the city, as well as a multitude of churches. Perugia is the regional capital of Umbria and is a breathtaking city high in the mountains of the Perugia region of Umbria. In Perugia there are many things to do and see, including a variety of museums, historical homes, and the annual Eurochocolate festival that’s going on right now, where you can try chocolate from all over Europe in all of its delicious forms. Assisi is most famous as the home of St. Francis of Assisi and his beautiful cathedral. 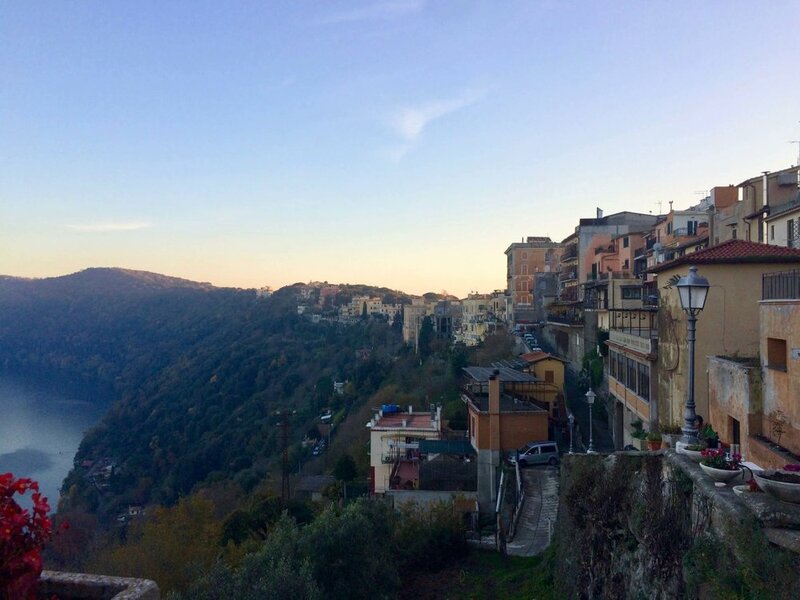 There are two parts to the city, lower down includes the bulk of restaurants, shops, and the large basilica, and if you climb up the mountain (by foot or car) it takes you to La Rocca, a fortress with stunning views of the countryside. Spello is frequently named one of the most photogenic towns in Umbria because of its cute streets, uniform cottage-like buildings, and mountaintop views. While it is smaller than the other three cities mentioned, this is a great stop for lunch, dinner, wine tasting, or to pick up some Umbrian meats. Wander through tiny towns: There are so many gorgeous and hidden gems of towns in the Umbria region. While the ones I’ve mentioned are certainly worth a visit, if you have time and a car, I recommend driving around the region and stopping when you see a town that looks promising, or a great agriturismo. Wine tasting at family-run vineyards: Vineyards and agriturismi are very popular in this wine-producing region and visiting them is a great way to see a behind-the-scenes look at Italian food production and to interact with locals. Truffle hunting: Through these family-run operations, you have the option to take cooking classes, help in the winemaking process, and even hunt for Umbria's famous truffles in the woods. Experiencing these activities first hand is a fabulous way to really interact with the region and get a better sense for what Italy is. Hike up mountain paths: There are so many opportunities to engage in outdoor activities and sports. 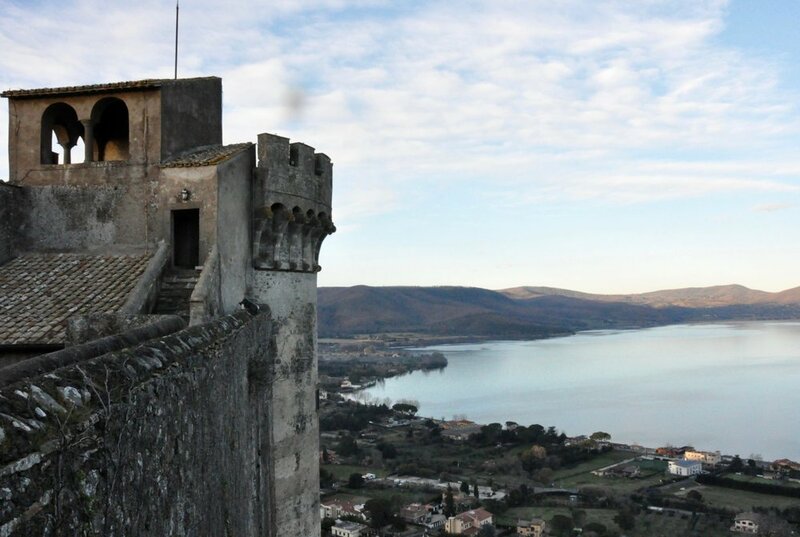 Walking, hiking, and water sports on one of the regions’s two large lakes are fun activities when visiting Umbria. Pasta con porcini: Pasta with mushrooms, specifically porcini, is very popular in the region. Try it with a white sauce, gently sautéed mushrooms and fresh pasta. Ragu al cinghiale: Ragu is by far my pasta of choice while in Umbria and when made with local chingiale (wild boar) it just can’t get any better. Try it, fall in love, and die a little inside when you realize wild boar isn't readily accessible in North America. Bruschetta di tartufo: Truffle with everything is the name of the game in this region. Oil, butter, lard, pasta, cheese, meats, and bruschetta all get infinitely more delicious when they include black truffle from Umbria. Specifically when visiting such a rural and outdoorsy region in Italy, I recommend staying in bed and breakfasts or an agriturismo. They provide you with a good look at what life for the locals is like, for a lower cost than many hotels. At an agriturismo, you can choose to have all of your meals included with the price (amazing homecooked food from a farm is always a win), explore the premises which usually include a farm or vineyard, and volunteer to help out around the place. The owners are also very helpful when you’re looking for the perfect place to eat, shop or visit and can’t find anything online (a true danger because the travel/tourism industry here isn’t well developed). Have you heard about Umbria or visited yet? This place is just magical for me, especially in the fall, and I can't wait to explore Umbria and Tuscany more. When people imagine the Italian coast, they think of gorgeous scenery, mountainside towns, and little houses painted in rainbow colors. Positano is all this and more. This small town on the Amalfi Coast sits between Sorrento and Amalfi and has been a popular tourist destination for ages. Celebrity sightings are common and during the height of summer, accommodations are booked, restaurants are full, and there's barely enough room to move around. However, Positano is a classic beach destination for a reason; it's definitely worth a trip if you're staying near Rome or Naples and have a couple of free days. After taking a trip of my own to the Amalfi Coast and Positano earlier this month, I've created a list of things to do in Positano in a day. Shopping is an important activity in Positano, which is visible from the overwhelming number of shops that line the streets. Everywhere you turn, there is a clothing, food, or homeware store waiting for you. The regional products that Positano and the Amalfi Coast in general are known for are handmade ceramics (featuring coastal scenes, fish, and lemons), linen clothing, made-for-you leather sandals, and speciality lemon products. Whether you're shopping for family, friends, or just for yourself, it needs to be on your list. The lemons surrounding Positano, Amalfi, and Capri are said to be some of the best in the world. Locals make entire meals featuring lemons and offer many portable alternatives for travelers, the most notable being limoncello. Specifically from this region of Italy, limoncello is a well-known Italian after-dinner drink, which Italians use to digest after a large meal. The store that we bought limoncello from was I Sapori e Profumi di Positano. They claim to have been making limoncello from a family recipe since 1986, which are good enough credentials for me. Going to the beach is a nice way to break up a day of shopping and the view from Positano's beach is stunning. The view from the water isn't to be missed, which is why I recommend taking a ferry or boat ride at some point during your stay. Because we were still full from dinner the night before, we decided to have a light lunch on the beach. We picked up sandwiches from the butcher's shop, filled with regional meat and cheese (always) and some drinks/fresh fruit from the market next door. Our panini were really filling and delicious and we were finally able to relax after days of train and bus travel. If you time your visit right, it might also coincide with the hundreds of American study abroad students who come to Amalfi with tour groups and you too can hear the fascinating conversations about study abroad life that I did! This famous hike takes you from one part of the Amalfi Coast to another, with breathtaking views of the mountains and sea. While the total distance is 6 km, you can also shorten the trek to include only a portion of the path. Most people recommend walking west to east, starting in Bomerano and ending in Nocelle/Positano. If you have time during your trip, the views and experience are said to be a once in a lifetime opportunity. The coast of Italy has some amazing fresh seafood that I always try to take advantage of when I make my way over. Seafood spaghetti, plates of mussels and clams, fried anchovies and many other delicious dishes are served daily for lunch. Many of the restaurants in Positano are perched on the cliffside, serving lunch with Pinterest-perfect views. No trip would be complete without a lemon sorbet or granita. The crushed ice with lemon syrup that I tried was so flavorful and better than any other that I've tried. After lunch, shopping, and the beach, a granita is the perfect way to end your day. Have you been to Positano or the Amalfi Coast? Let me know about your experience or recommendations down below!